The Maddie's Fund® mission is to revolutionize the status and well-being of companion animals. 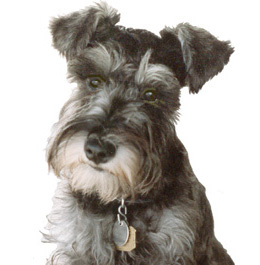 The Duffields named Maddie’s Fund after their Miniature Schnauzer, Maddie, who, with her feisty spirit and unconditional love, provided them much joy and laughter. Maddie was with Dave and Cheryl for ten years and continues to inspire them today. Maddie’s Fund is the fulfillment of a promise that Dave made one evening while playing with Maddie on the living room rug. That, if they ever had any money, they would give back to her kind so that other families could experience the joy she has brought to them. Maddie’s Fund invests its resources to create a no-kill nation where every dog and cat is guaranteed a healthy home or habitat. All of this, #ThanksToMaddie! Maddie’s Fund® is a family foundation created in 1994 by Workday co-founder Dave Duffield and his wife, Cheryl, who have endowed the Foundation with more than $300 million. 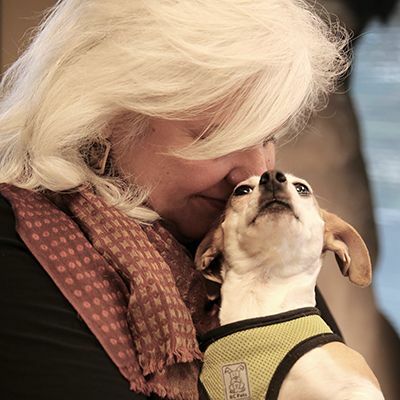 Since then, the Foundation has awarded more than $225.7 million in grants toward increased community lifesaving, animal welfare leadership, foster care and shelter medicine education and training across the U.S. Shifted the national conversation toward no-kill standards for homeless dogs and cats and community-wide goals and solutions promoting community-wide collaborations focused on pet lifesaving. Awarded more than $225.7 million dollars in grants to animal welfare organizations. Promoted community-wide collaborations focused on pet lifesaving. Established the first comprehensive shelter medicine program at the University of California Davis, and supported additional shelter medicine programs at the University of Florida, Cornell University, and Purdue University among others. Sponsored Maddie’s® Pet Adoption Days 2010-2015, an annual weekend-long collaborative event in which Maddie’s Fund sponsors the adoptions of pets at participating shelters. During this period, Maddie’s® Pet Adoption Days supported the adoptions of 31,267 homeless dogs and cats. Focused national attention on the importance of data and delivered the first searchable database that compares shelter data based on the Asilomar Accords from more than 500 animal welfare organizations. Helped establish a more responsibility- and results-driven venture philanthropy view in the animal welfare industry by requiring that grantees commit to business management practices, including data collection, numerical goals, strategic planning and performance measurement. Partnered with the Ad Council and The Humane Society of the United States to produce a national public-service advertising campaign promoting the adoption of shelter pets. Partnered with The Humane Society of the United States to help stop the suffering of breeding dogs and their offspring in puppy mills.